Atletico Madrid have been in touch with Chelsea to enquire about the possibility of signing Olivier Giroud. The Spanish side are keen to land the Frenchman as they look to strengthen their attacking options heading into the new season. 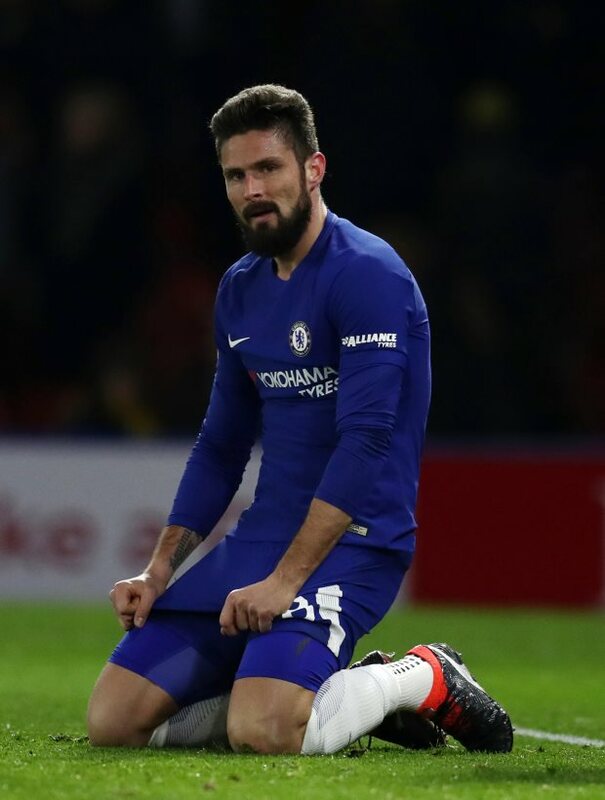 According to Eurosport France journalist Guillaume Maillard-Pacini, Atletico Madrid want to sign Giroud on a season-long loan with an option to buy. Chelsea are not opposed to doing business with the Spanish giants, but want an obligation to buy inserting into the loan instead of an option to buy. Giroud only arrived at Stamford Bridge in the January transfer window earlier this year, joining from Arsenal. He quickly made an impression and replaced Alvaro Morata as first choice striker. But his future is up in the air under new Chelsea manager Maurizio Sarri, who has been linked with wanting to sign Gonzalo Higuain from Juventus. Giroud won the FA Cup with Chelsea last season and scored five goals in 18 games.